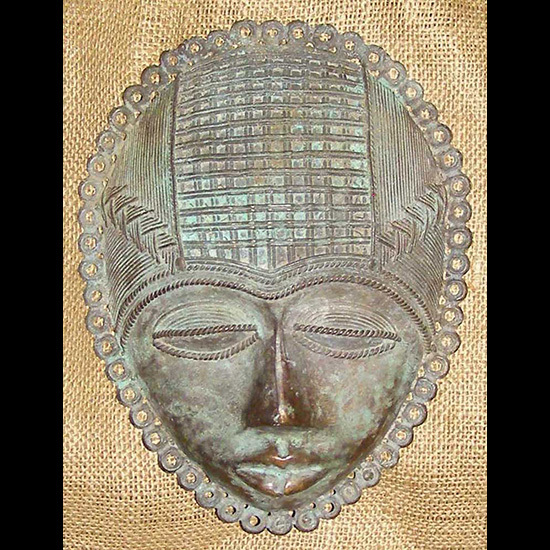 African art and masks of the Baule. 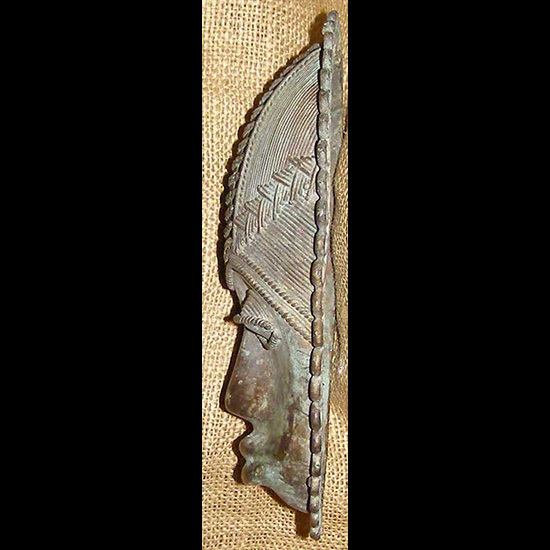 This Bronze mask from the Baule people of the Ivory Coast is made by hand in a process known as "Lost wax". It is 9 inches tall, 6.75 inches wide, and would hang very nicely on a wall. 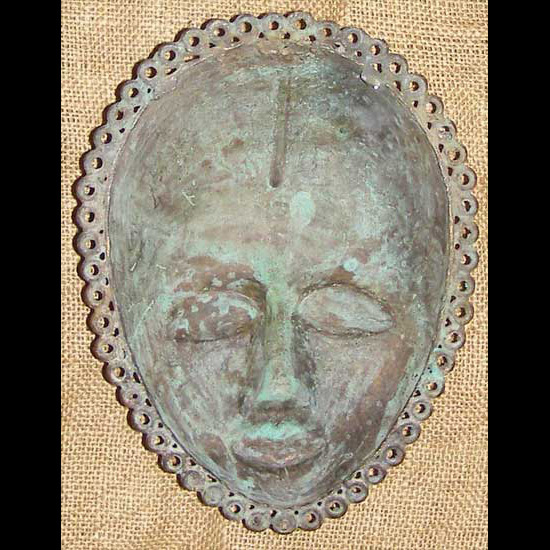 The Baule people have a rich tradition of masks and artwork in bronze and brass.